A Saskatoon mother who saw a man preparing to shoot up in a local Subway is trying to generate public support for a safe injection site and drug treatment centre. Rebecca Beattie and her four-year-old son were unwrapping their sandwiches last week at Subway on Saskatoon's Broadway Avenue when an apparently homeless man tried to get into the washroom and, when it was locked, sat in a booth next to Beattie. "[He] pulled out all the supplies to shoot up intravenous drugs," said Beattie. "Instantly my heart kind of fell." Beattie said her "mama bear" instincts kicked in. "I saw him pull up the needle and he was just about to inject it into his arm and I was, like, 'What are you doing? Stop, I'm right here with my son, stop. You need to go.'" The man hurriedly gathered his supplies and departed, leaving Beattie and her son feeling shaken. "He really did have nowhere to go," she said. "I can see why he and so many others would turn to establishments like this to be warm, to be safe." Beattie posted about her encounter on social media, wrote to Saskatchewan Health Minister Jim Reiter, and started an online petition calling for a safe injection site in the city. While there are numerous needle exchanges in Saskatchewan, there are no supervised injection sites. "We are stuck in the dark ages of addiction recovery in this province," said Dr. Morris Markentin, who works at the West Side Community Clinic in Saskatoon. His clinic sits two doors from the Saskatoon Tribal Council's health centre and needle exchange on 20th Street W., which is open between noon and 5 p.m. daily. The trouble, Markentin said, is what happens after the doors of the needle exchange close. "I see people come flying into the back alley, jump out of their vehicle or running to the door and it's locked," said Markentin. He said users desperate for a fix will use any needle they can find. "They're not doing it to get high. They're doing it to survive," said Markentin. The tribal council says that during the hours its clinic is open, a drug user comes in to swap out dirty needles for clean ones every three minutes. 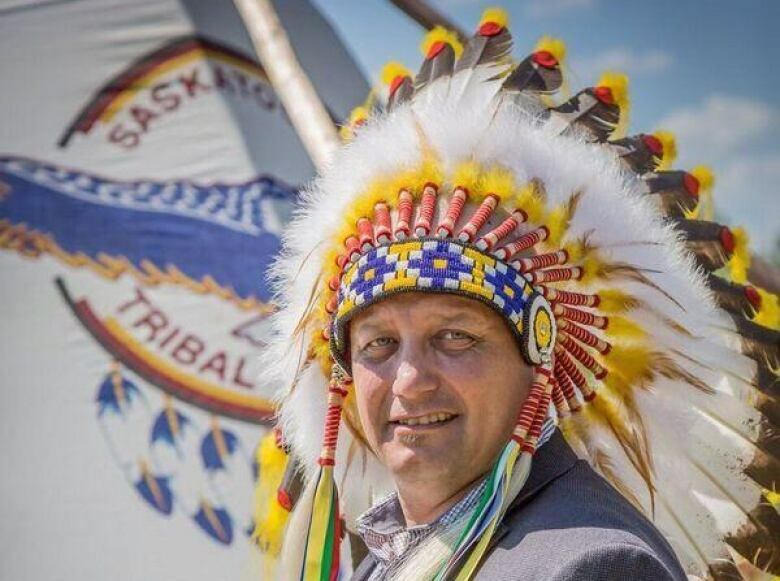 That adds up to at least a million needles every year, said Mark Arcand, chief of the Saskatoon Tribal Council. "We don't judge people," said Arcand, who said patients at the clinic need not be Indigenous to use the clinic. "It's no different than alcohol or drugs or living with diabetes." Arcand said the federal and provincial governments recently committed enough money to expand services at the needle exchange and keep it running for another five years. In an e-mail, Health Minister Jim Reiter said supervised injection sites no longer require provincial approval. "If the Ministry of Health were to receive a request for funding, the Ministry of Health and health care professionals with expertise in this area would need to assess drug use patterns, drug use culture, and the concentration of people who use injection drugs in that community," Reiter wrote. "This assessment would have to be carefully weighed against other harm reduction funding priorities under consideration." Arcand said he would like to open a supervised injection site at the Tribal Council's clinic, but that would require more health-care workers and more money. Sources at the Saskatchewan Health Authority said a round-the-clock supervised site, with one nurse on at all times, would need $600,000 per year just for the staffing costs of those nurses. Arcand and Markentin said it's worth a try. "Based on the numbers we're going through, I'd say absolutely," said Arcand. "There is a need for it." Markentin said no one complains about tax dollars being spent treating smokers or alcoholics. "We don't bat an eye helping people with socially acceptable addictions," he said. "We treat those people in the hospital all the time." He said a small working group has proposed what he calls a "one-stop shop" for hard drug users in Saskatoon, which would cost between $5 million and $15 million dollars per year. "It doesn't make them use more, it gives them a safe place," Markentin said. "Quitting using drugs is as impulsive as using drugs itself." Markentin said supervised injection sites work best when they are open 24 hours a day, with immediate referrals to ongoing care. He said the use of crystal meth in Saskatoon has increased by 70 per cent, with no corresponding increase in access to addiction counsellors. "We treat people who inject drugs as subhuman," he said. "It's time to stop and we need somewhere for these people to get help." A group of women gathered signatures along 20th Street W., as they petition health officials to establish a safe injection site in Saskatoon. Beattie has now gathered hundreds of signatures in support of a safe injection site for her city. She said Saskatchewan's health minister needs to know public washrooms are not an acceptable alternative for addicts. "I think that every time that a contamination incident happens, it's on him. I think that every time someone dies due to lack of access it's on him," she said. "People's lives are in danger."